World Heritage Sites in Kathmandu. 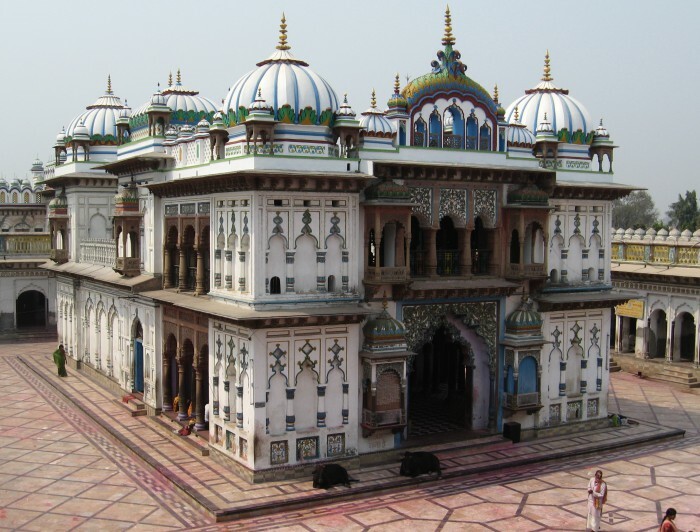 Janakpur Dham is the famous Hindu temple in Terai region of Nepal. The goddess Sita belongs to this holy place. Janakpur is capital of the Mithila kingdom of legend king Janak. Our Janakpur Sightseeing Tour takes you to some of the existing attractions in the city. A very valued holy site for Hindus, the city comprises the Janaki Temple. A temple is dedicated to god Ram and goddess Site, who were believed to get married in this temple. Hundreds if pilgrims inside the country itself and from India are seen to visit this site and perform a worship. Apart from religious importance, the city was once the centre for ancient art and cultures. Named after the legendary king Janak, the city was once the capital of the ancient Kingdom Mithila. He ruled the region and had an existence of his own. It was considered as the native country of Goddess Sita; wife of the Hindu god Rama and the antagonist of the Hindu epic Ramayana. Janakpur can be said as the highest visitors receiver among all its neighboring towns and cities.